It’s something you think will never happen to you, or to those you love. But the reality is that suicide is the second leading cause of death for teens. 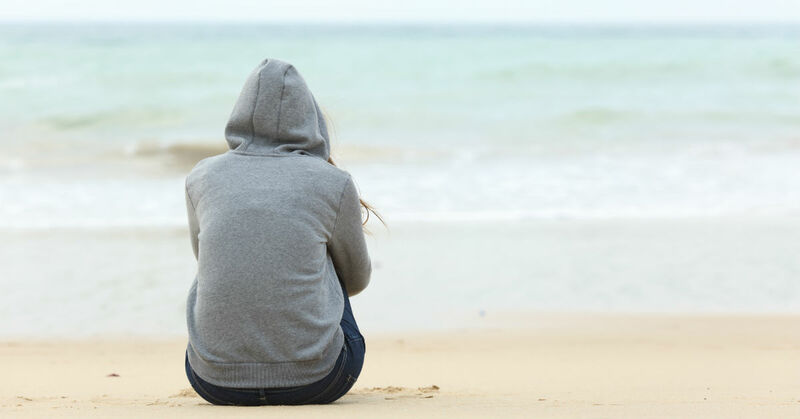 Although it can be a heavy topic to discuss, there are ways that teens can overcome these suicidal thoughts and feelings. While there are many ways to help them, here are thirteen ways they can fight the feelings and get to a better, happier place. Self-Care will truly save a life. Your teen needs to be aware of how important it is to get sufficient sleep and food. Neglecting to take care of themselves can lead to negative self-image and eventually lead to self-harm. Talk to a mental health professional. It’s important these feelings are addressed. Do not let them fester, or brush them off as just a phase. Your teen’s thoughts and feelings should be taken seriously, especially if they are speaking phrases linked to suicide and other harmful actions. Medication and other forms of therapy are available from physicians and other professionals trained to help teens overcome these feelings. If mental health professionals are not immediately available for your teen in their time of need, they can call the national suicide prevention hotline or message the crisis text line. Get outside. Your teen needs to spend time in the sun and in nature. Help them find ways to be outside more, and clear sufficient time to do such. Take them on a short hike or even just a walk around the neighborhood. Fresh air is more helpful than we give it credit for in helping a person realize the world is bigger than just them. Seasonal depression, or S.A.D. might also be affecting your teen, and so spending more time outside could be crucial to their recover. Encourage them to do the things they love. They need to remember their life has purpose, and they have things they can live for. Help them find ways to develop their talents, and spend time doing the things they love to help them feel happy and purposeful again. Help them stay involved and connected in the things that bring them joy. Make sure your teen never has to spend long periods of time alone. Your teen needs to have the support of their loved ones constantly surrounding them during this rough time. Feelings of isolation one reason why they might feel like they need to end their life, so keeping them surrounded with people who love them will help them remember how much they matter to others, and how much their life matters. Create a safety plan. A safety plan can be useful for your teen to have to refer to when their thoughts escalate to suicide. A safety plan can include people to call, things to do, and places to go for help when they are thinking of suicide. A safety plan can keep your teen safe and help remind them of the people in their life that can help them stay alive and well. Take hope. Help your teen understand that these suicidal feelings are temporary and they are not going to define their future, and there is hope for them. Take a moment to help them by assessing all the good they have in them and in their life, as well as that they are capable of change. Help them realize there are many ways they can hope to recover from this stage in their life and these thoughts. Form A Strong Support System. There are many resources locally and nationally for teens suffering from suicidal thoughts and feelings. Connect your teen with adequate support or treatment groups to find them the help they need as well as with family and friends. Help them bond with people who care for them and understand what they are going through. Stop Substance Abuse. Substance abuse affects the mental health of teens greatly, and is a leading reason people choose to complete suicide. Inform your teen that substance abuse is not a lasting coping mechanism for feelings of depression, loneliness, anger, etc. Invest in Meaningful Relationships. It is important for teens to feel included in their family and social circles. Always invite them to participate in activities even if they appear to have no interest in going. Never stop showing your teen love and supporting them, even when it is hard for you to see them going through so much, or to see a return on your actions. Your efforts will help them feel less alone, and feel more included and valued. Take a Social Media Break. Teens may have a hard time realizing it, but social media affects their self-esteem vastly. Being in constant comparison with others can cause lasting damage on their self-image. They can also be in danger of viewing images that may trigger these suicidal feelings and thoughts. Talk to your teen about taking a break from social media in efforts to get them more focused on the world around them, and less on what is wrong with them or what everyone else seems to be doing that they aren’t. Positive Self Talk. Teens often cut themselves down and talk negatively to themselves, whether in comparison to another, or because they have feelings of depression, etc. Replacing these negative self views with positive ones, as well as repeating positive phrases will help your teen overcome their suicidal thoughts. Positive self talk is powerful, and will lead to them overcoming their negative self talk, and eventually, replace a negative self image with a positive one. Reach Out: You Are Never Alone. Sometimes teens reach out in ways that can be interpreted as asking out, but really they are trying to get your attention that they need help. By answering their cries for help with love and empathy, you can find ways to help them understand that they are not alone, and build pathways for the future for them to ask for further help when needed.